~# time sh -c "dd if=/dev/zero of=/dev/sda2 bs=500M count=1 &amp;&amp; sync"
which results in total write speed around 82 MB/s. In kernels prior to 2.6.x AHCI was only supported through PCI and hence required custom patches to support platform AHCI implementation. All modern kernels have SATA support as part of AHCI framework which significantly simplifies driver development. Platform drivers follow the standard driver model convention which is described in Documentation/driver-model/platform.txt in kernel source tree and provide methods called during discovery or enumeration in their platform_driver structure. This structure is used to register platform driver and is passed to module_platform_driver() helper macro which replaces module_init() and module_exit() functions. We redefined probe() and remove() methods of platform_driver in our driver to initialize/deinitialize resources defined in device tree and allocate/deallocate memory for driver specific structure. We also opted to resource-managed function devm_kzalloc() as it seems to be preferred way of resource allocation in modern drivers. The memory allocated with resource-managed function is associated with the device and will be freed automatically after driver is unloaded. We, at Elphel, are currently using proprietary software for schematic and PCB development and thus are not able to provide our customers with the “real” source files of our designs – pdf and gerber files only. Being free software and open hardware oriented company we would like to replace this software with open source analogues but were not able to accomplish this due to various limitations and inconveniences in design work-flow. We follow the progress in such projects as gEDA and KiCAD and made another attempt to use one them in our work. KiCAD seems to be the most promising design suite considering recent CERN contribution and active community support. 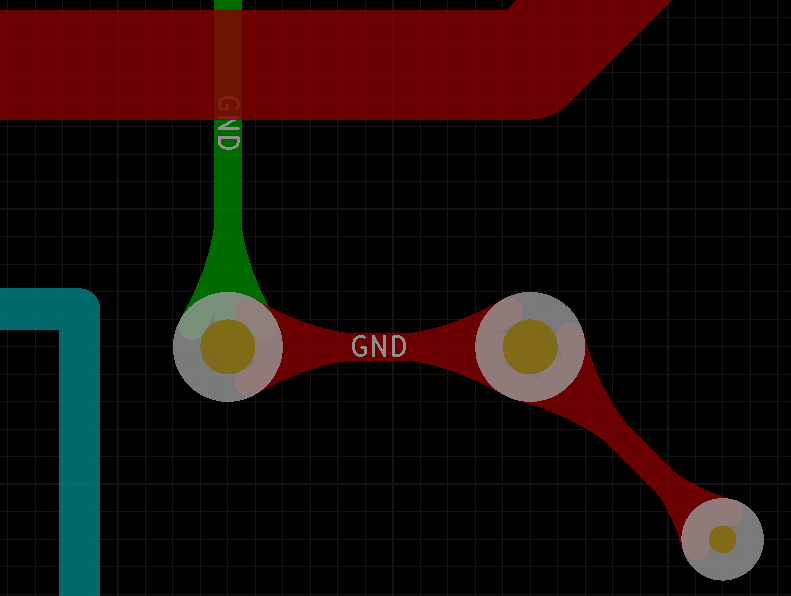 I tried to design a simple element, a flexible printed circuit cable, using KiCAD and found out that the PCB design program lacks such useful feature as teardrops.